The Oxford Lab Products BenchMate Orbital Shaker is a platform shaker that enables the shaking (orbital and linear motion) of liquids and semi‐liquids up to a maximum total weight of 7.5 Kg. The BenchMate Orbital Shaker supports various attachments for mixing liquids in bottles, flask, test tubes and bowls. It is supplied with a non‐slip mat and has optional flask platforms available. The BenchMate Orbital Shaker comes with a program and sub‐program feature for a variety of personalized mixing preferences and purposes. A variety of different orbital shaker attachments are available for different vessels. The program mode of this BenchMate Orbital Shaker allows the user to define the rotational direction (clockwise or counterclockwise), speed, runtime from 1 min to 99.59 hours, dwell time and sequence. Loop operation settings are available with the unit. The last run memory feature of this orbital shaker allows easy repeating of your favorite and most used settings. Two orbital diameters are possible, 10 mm or 20 mm, with a speed range of 50 to 300 rpm. 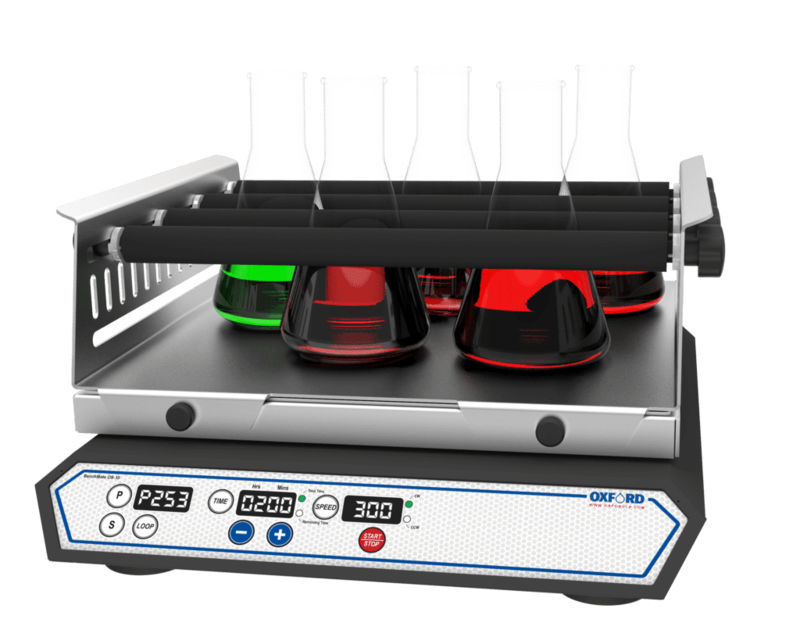 If you need to specifically shake or agitate liquids in microplates, check out our BenchMate Plate Shaker. A variety of different attachments are available, making it possible to use almost all shapes and sizes of vessels (bottles, flask, test tubes and bowls). Program mode allows the user to define rotational direction (clockwise or counterclockwise), speed, runtime (1 min to 99.59 hours), dwell time and sequence. Comes with a program and sub‐program feature for a variety of personalized mixing preferences and purposes. Last run memory feature allows easy repeating of your favorite or most used settings. Functions with a maximum total load weight of 7.5 Kg. It is supplied with a non‐slip mat and has optional flask platforms available. 10 mm with a speed range of 50 to 500 rpm. 20 mm with a speed range of 50 to 300 rpm.